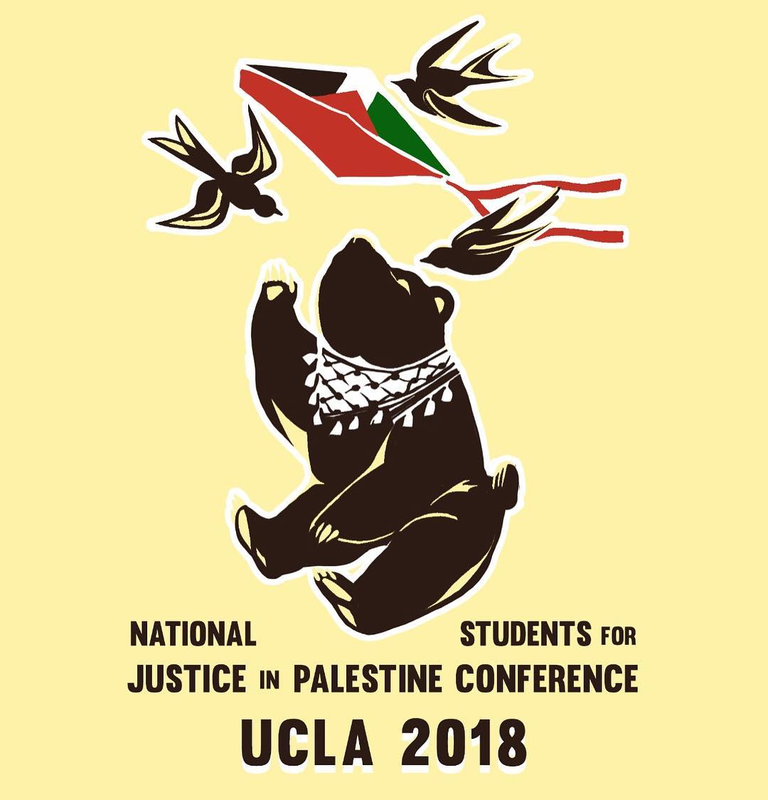 Next month, the University of California, Los Angeles will host a conference organized by National Students for Justice in Palestine and sponsored by the group’s UCLA chapter. The university has rightly rebuffed calls by critics of SJP to cancel the conference, most recently in a letter from the university’s chancellor to Representative Brad Sherman, a congressman who had argued that the conference violated federal anti-discrimination law and a University of California policy on student fees. But a new cease-and-desist letter from the university invokes an unconstitutional statute in a troubling manner. Whether or not the Department of Education has adopted this definition is unclear. The Department says it “has not adopted any formal definition of anti-Semitism.” The Office for Civil Rights — a sub-agency of the Department of Education — recently told Rutgers University that the definition “is used” by OCR, which “rel[ies] where appropriate upon widely established definitions of anti-Semitism,” including the State Department definition. FIRE’s statement on the threat to free speech posed by OCR’s apparent use of the definition is available here. As FIRE’s Zach Greenberg has further explained, the definition’s vagueness “poses significant problems for free expression on campus, as many criticisms of the Jewish faith or of Israel would fall within its ambit,” and the lack of clarity as to whether the definition has in fact been adopted “will result in increased pressure on institutions to aggressively investigate and punish protected expression.” Rep. Sherman’s letter is a good example of how this works in practice. Rep. Sherman also suggests that the conference violates a UCLA policy governing registered student organizations because the conference is not “open to participation by the entire campus community,” but is instead reserved for students affiliated with pro-Palestinian campus activism. The policy does require that “[p]articular programs and activities of a Registered Campus Organization funded from” student fees “shall be open to participation by the entire campus.” That could be read in two ways: either the policy requires that all “programs and activities” of a student-funded organization will be open to all, or it requires only that the “particular” programs funded by student fees will be open. 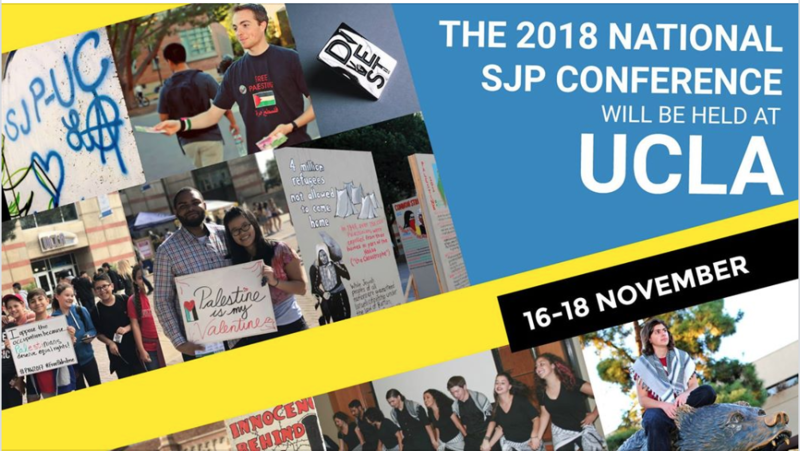 Rep. Sherman’s letter also raises allegations of past conduct by SJP members or chapters, including a recent disruption to a Students Supporting Israel event by members of the UCLA chapter of SJP. (The chapter denies involvement.) Yet if the past conduct of members of a particular chapter or movement were sufficient to deny expressive rights of their fellow travelers, virtually every organization could be subjected to retaliatory censorship, provided that someone, somewhere engaged in misconduct. (For more on this point, see the Supreme Court’s 1972 decision in Healy v. James, holding that the First Amendment prohibits denying benefits to a campus chapter of a national organization because other members committed disruptive actions elsewhere.) As Chancellor Block points out, campus policies governing conduct can be enforced against specific perpetrators at the time of the disruption. Other politicians this election cycle have also been calling for campus censorship. While it is wrong to make such calls, it is also incumbent upon public university leaders not to assent to them. Unfortunately, UCLA appears to be moving in the opposite direction, sending a cease-and-desist letter to the National SJP on Oct. 31. This move, unfortunately, is at odds with UCLA’s “green light” rating from FIRE, which the university earned earlier this year for revising its speech codes. UCLA’s letter invokes a dubious California statute authorizing the public university to police virtually any use of its name by requiring anyone who wishes to “display” or “announce” the name (or abbreviation) of the university at any “meeting, assembly, or demonstration” which advances or opposes any “political, religious, sociological, or economic movement, activity, or program” to first obtain university approval. The statute also requires permission to “imply, indicate or otherwise suggest” that any organization “is connected or affiliated with, or is endorsed, favored, or supported by, or is opposed by” the university. In this instance, UCLA argues that SJP’s “use of the ‘UCLA’ name” and use of “the UCLA mascot of the Bruin Bear in a logo/digital poster” effectively claims, suggests, or implies an “affiliation with” UCLA. The university says the group may state where the conference will be held (“at UCLA”) if the font size for the word “UCLA” is “no larger than the font used for the remainder of the communication.” Failing compliance, UCLA expressly threatens to cancel the event. So it’s not clear what additional verbiage the university wants — perhaps adding the word “at” to the poster depicting a bear? That leaves the font size and the use of an artistic rendition of a grizzly bear, California’s state animal, which UCLA believes infringes on its marks. That raises the question: Is UCLA really threatening to cancel a student convention on the basis of a font size or an image of a bear? Does UCLA enforce this consistently?